Turn The Other Cheek (Matt.5:38-42). Care For Your Enemies (Romans 12:19-21). Sunday, December 9: 9 am Adult Co-Ed Bible Study, 9:45 am Nursery Opens, 10 am Worship Service, Youth and Children’s Church after Music Worship, Sermon, Elder Nominations begins, 2 pm Roping for Toys (registration starts at 1 pm. Bring an unwrapped gift or $25 donation). Angel Tree gifts are due. Wednesday, December 12: Celebrate Recovery 7 pm – Testimony Night – Meal served 6:15 – 6:45 pm. Thursday, December 13: Thursday Night Bible Study and Prayer 7 pm. Friday, December 14: Men’s Ministry 6 pm. Pine Ridge Coats are due. Saturday, December 15: Youth Garage Sale. Sunday, December 16: 2019 Budget approval meeting. New Member Meeting with Pastor. Elder open meeting 6 pm and closed meeting 7 pm. Sunday, December 23: New Member Introduction. Monday, December 24: Christmas Eve Candlelight Service 7 pm. Sunday, December 30: 5th Sunday Music Worship (no potluck). For Arena Events visit Rafter J Indoor Arena Facebook or contact Jerry Don Galloway at 817-565-6786. Are YOU Ready to come join us @ Celebrate Recovery? 1. Life isn’t Fair (vv.14-25). 2. There is Evil in the World (vv.26-29). Sunday, December 2: 9 am Adult Co-Ed Bible Study, 9:45 am Nursery Opens, 10 am Worship Service, Youth and Children’s Church after Music Worship, Sermon, Communion, and Baptism. 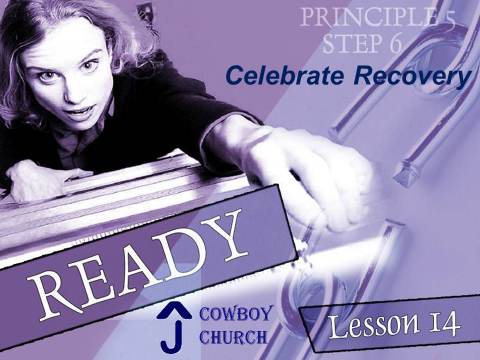 Wednesday, December 5: Celebrate Recovery 7 pm – Ready Lesson – Meal served 6:15 – 6:45 pm. Sunday, December 9: Angel Tree gifts are due. Elder nominations begin. Sunday, December 16: New Member Meeting with Pastor. Elder open meeting 6 pm and closed meeting 7 pm. Donations needed for Youth Garage Sale. Please see Elizabeth Patterson if you have any questions. Practice Team Roping 7/9 $20 person . For more information, please call Jerry Don Galloway at 817-565-6786. Religion Creates Confinement, Relationship Brings Celebration (vv. 2:18-22). Religion Creates Burdens, Relationship Brings Blessing(vv. 2:23-28). Religion Produces Oppression, Relationship Prizes Others (vv. 3:1-6). Sunday, November 25: 9 am Adult Co-Ed Bible Study, 9:45 am Nursery Opens, 10 am Worship Service, Youth and Children’s Church after Music Worship, Sermon, New Member Introduction. Angles still available. Tuesday, November 27: 7:00 pm Practice Roping $20 person. Event by Jerry Don Galloway 817-565-6786. Wednesday, November 28: Celebrate Recovery 7 pm – Testimony Night – Meal served 6:15 – 6:45 pm. Thursday, November 29: Bible Study and Prayer service 7 pm. We are studying the book of Revelation. Barrel Exhibition Gate Opens 6 pm – Exhibition $3 Run or 4 Runs $10. Event by Jerry Don Galloway 817-565-6786. Saturday, December 1: Herd’em Up For Christ 10 am. Sunday, December 2: Co-Ed Bible Study “Because of Bethlehem” begins at 9 am. This is a 4 week study. Saturday, December 8: Roping for Toys 9 am registration. Event by Jerry Don Galloway 817-565-6786.